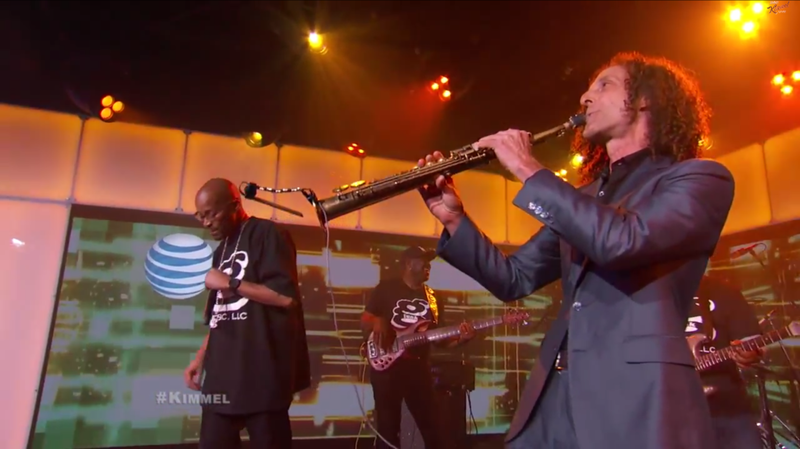 Home » Jimmy Kimmel , Kenny G , Regulate , Warren G » TRUE Gs (Kenny G & Warren G) "Regulate"
TRUE Gs (Kenny G & Warren G) "Regulate"
Most hip-hoppers (or men for that matter) admit they like Kenny G. I played Saxophone since I was 11 so I have mad respect for him and you KNOW I grew up on that G-Funk. And I watched the Man Show with Jimmy Kimmel religiously as a kid so the fact one presents the other with the other is pretty slick. Lenisha Nelson "Good Vibes Only"
GZA x Tom Morello = "The Mexican"